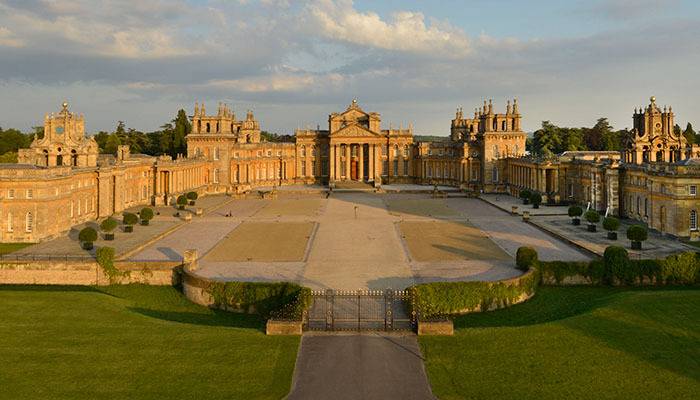 Visit the home of Churchill's family & one of England's finest stately homes & gardens. Guided 90 min tour with transport from Oxford included. Palace tour from 2pm-3.30pm (any requests for earlier starts, please call up before booking). Enjoy an approximately 90 minutes guided tour of the palace. Return coach transport provided free from Oxford to the palace. Your ticket includes pre-booked palace ticket + private guided tour. Nearly all of these bookings are private tours. Tickets cost from £50-100 per person. Online bookings close at 10pm for the following day. Same day bookings may be possible, if you call us up. N.B. palace entrance in 2016 costs £25 entry. Pre-book with us to avoid the considerable entrance queues.